CRYPTO : MINDO (2007) is an electronic sonic composition translated and sampled from the genotypic sources and phenotypic expressions that become intertwined in the exchange between human psychogeography and ecological retreat and encroachment. Oscillating, interrupting and mixing into this bioacoustic ambient are the human genotypic and proteomic origins of the work. These sonic translations are derived from the human locative proteins cryptochrome 1 and 2 which are the biomolecular roots of human psychogeographic remappings, explorations, settlement and ecological encroachment that have persisted through human history. 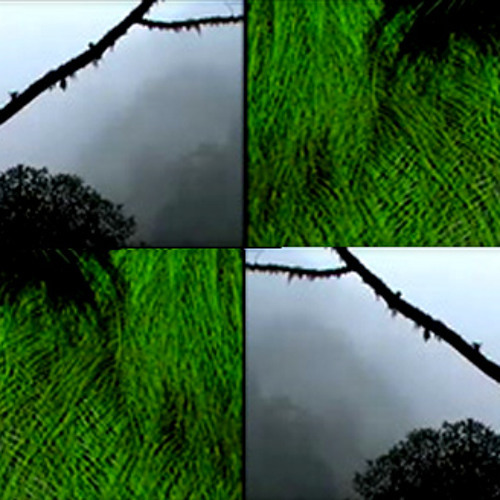 In the translation of protein sequence to audio equivalents, attention was given to the affinity that the molecules have for water - the crucial resource which also brings uniqueness and survival to the neotropical cloud forests.